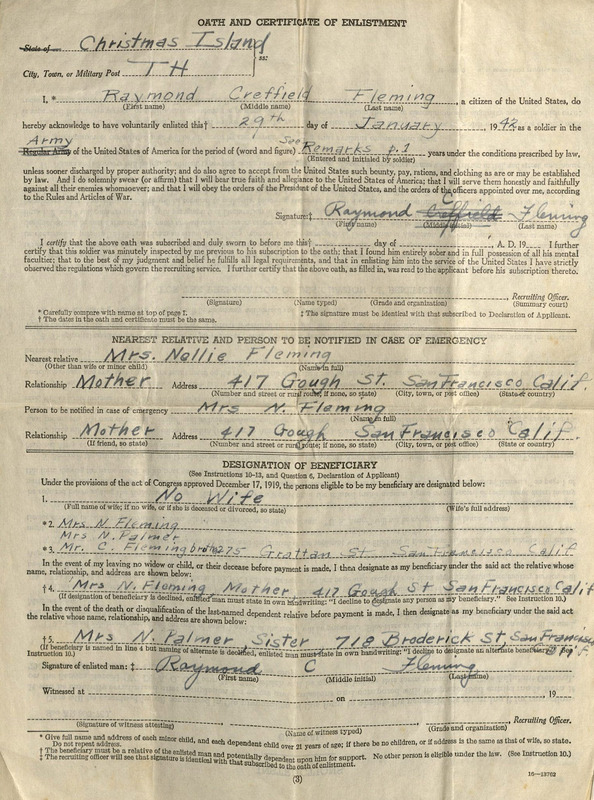 Born in 1916, Raymond C. Fleming grew up in San Francisco, CA, and attended the University of California at Berkeley where he participated in the ROTC program. In 1941 he accepted a position as an Assistant Engineer on an airport runway project to be constructed on Christmas Island in the South Pacific. 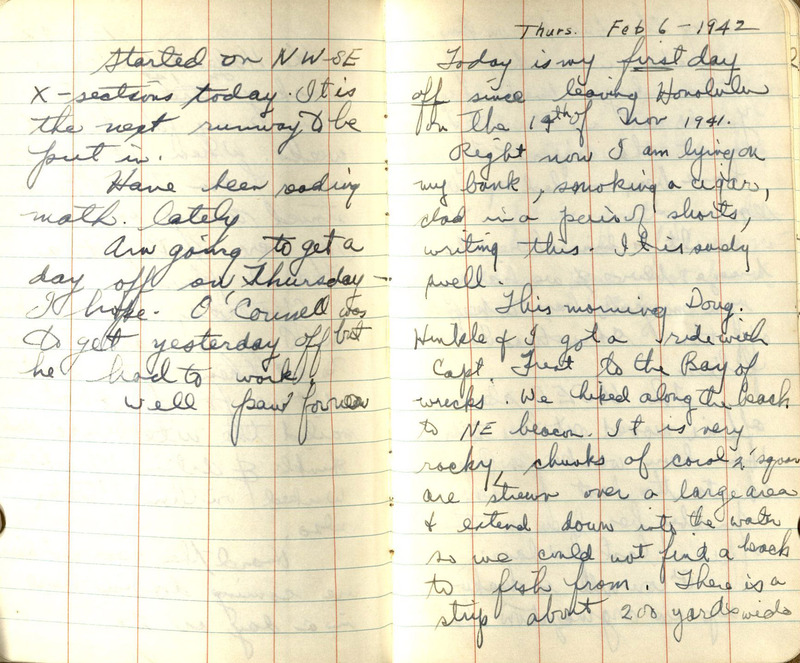 He started keeping diaries shortly after leaving Honolulu on the SS Haleakala in November of that year, which comprise the majority of the Raymond C. Fleming Collection. 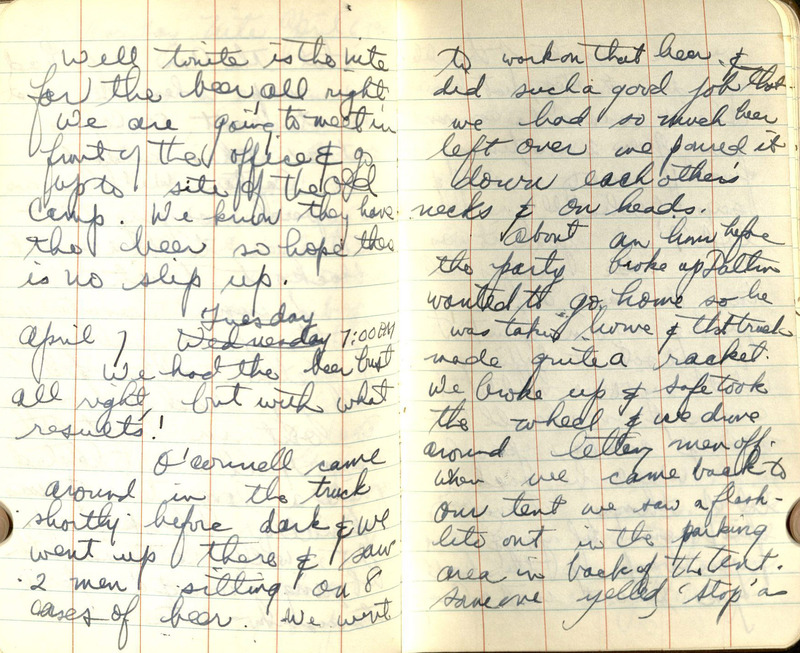 The 25-year-old Fleming was on Christmas Island on December 7, 1941, Pearl Harbor Day, and wrote an extensive diary entry as events unfolded, checking back in to record his thoughts throughout the day. 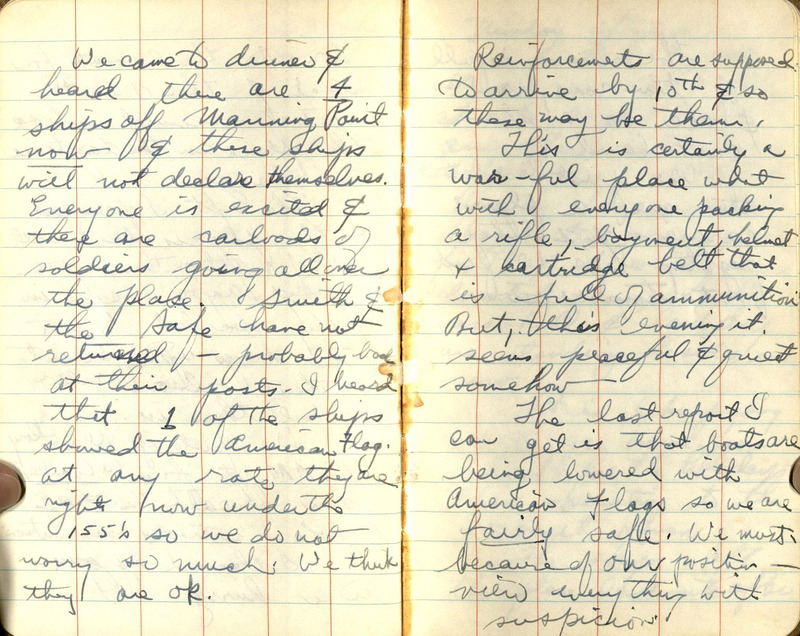 He scrawled the words "U.S. AT WAR" across the top of the first page, and described the day's news, including the Japanese attacks on Pearl Harbor, Guam, Hong Kong, and Manila. 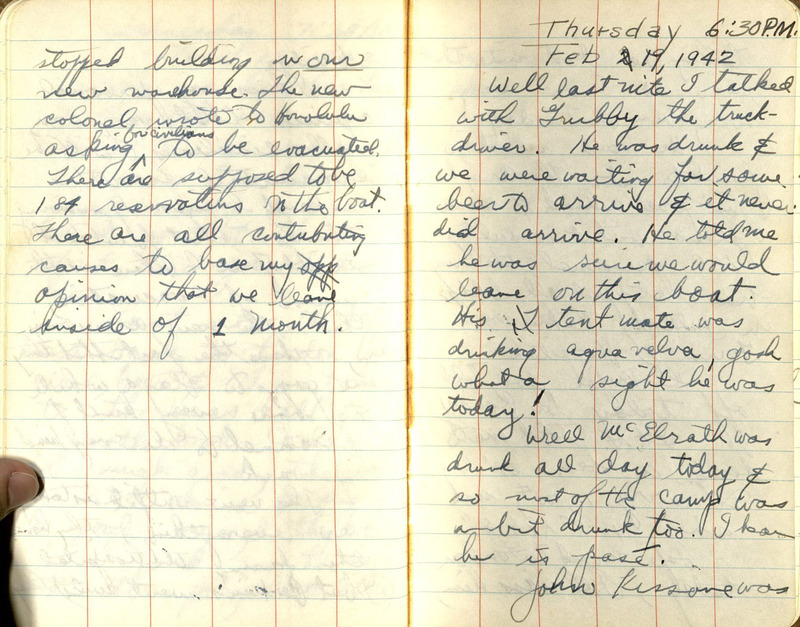 After receiving word of the attacks at about 12:30pm, several hours after they took place, he writes "Not much work was done this [afternoon]." 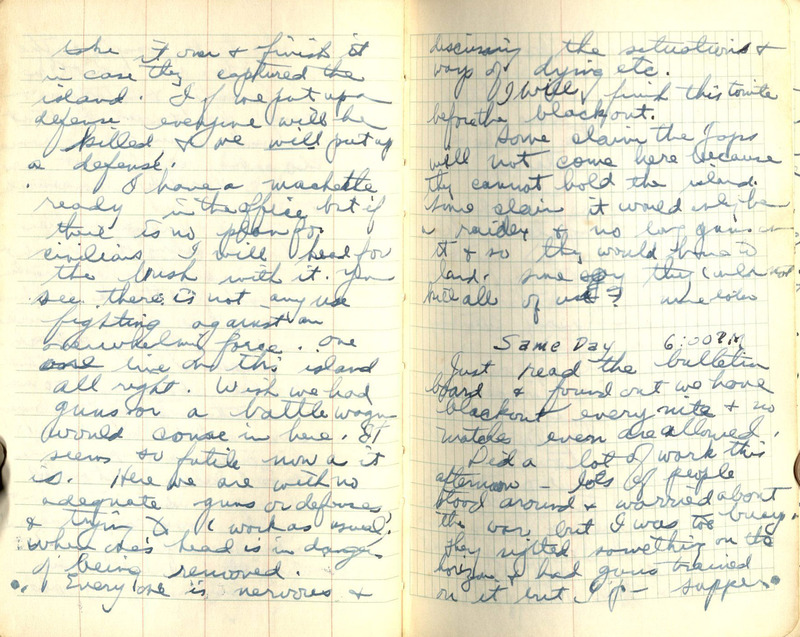 In subsequent entries, Fleming records his own thoughts and feelings, as well as those of his friends and soldiers stationed on the island, saying "The soldiers really hate Japan . 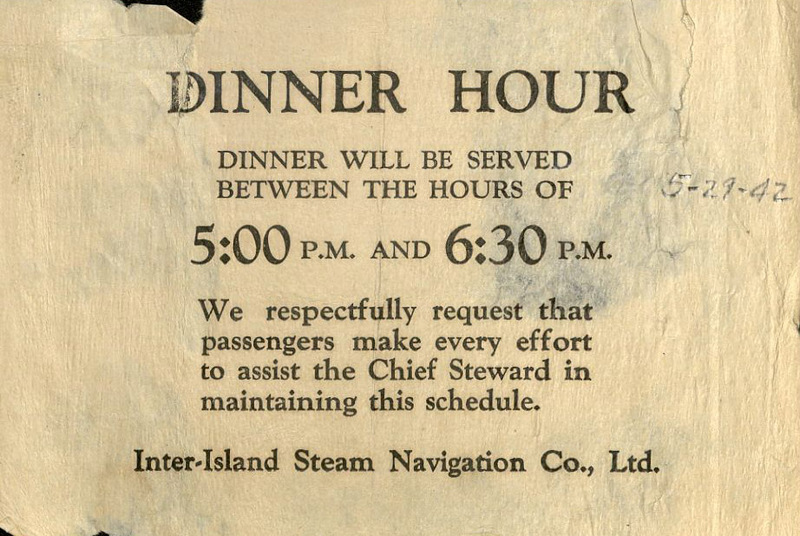 . . the [Japanese] in Honolulu must be having a hell of a time, because the soldiers and sailors will probably push around any of them they run into." He also reflects on Christmas Island and its vulnerabilities, pointing out "This place is having a hell of a big runway built on it + doubtless Japan knows of this project." In that post and those of the following days, the great uncertainty felt by everyone at the beginning of the war is clear. He and his fellow colleagues anticipate a Japanese invasion of Christmas Island. 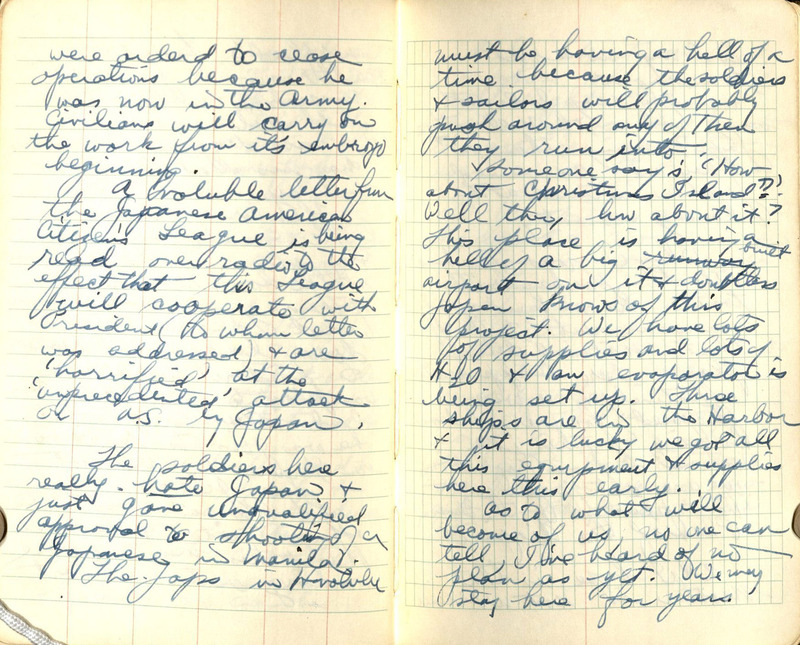 Reflecting on their lack of preparedness, Fleming writes, "Here we are with no adequate guns or defenses, and trying to work as usual . . . If we put up a defense everyone will be killed, + we will put up a defense. I have a machete ready in the office." Later that same day, he learned they'd have a "blackout every nite, + no matches even are allowed." 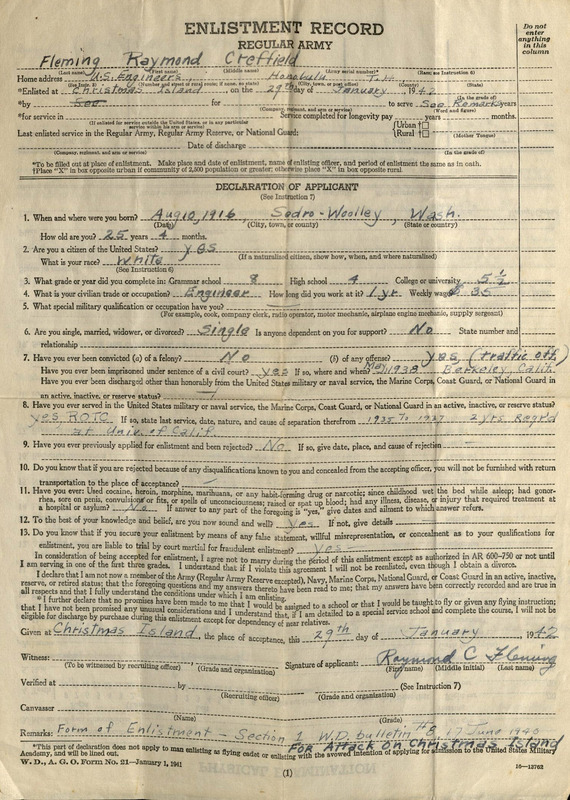 In January 1942, Fleming enlisted in the US Army as an engineer. 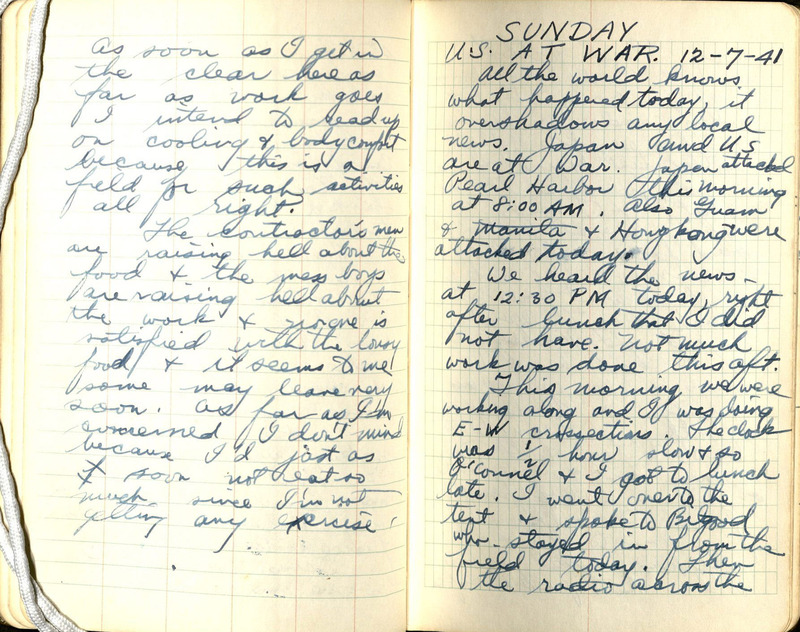 In early 1942 he chronicles some of the more mundane details of his life, saying in February that he was "lying on [his] bunk, smoking a cigar, clad in a pair of shorts writing this," or commenting on some of the new realities of wartime: "This is certainly a war-ful place what with everyone packing a rifle, bayonet, helmet, + cartridge belt that is full of ammunition." 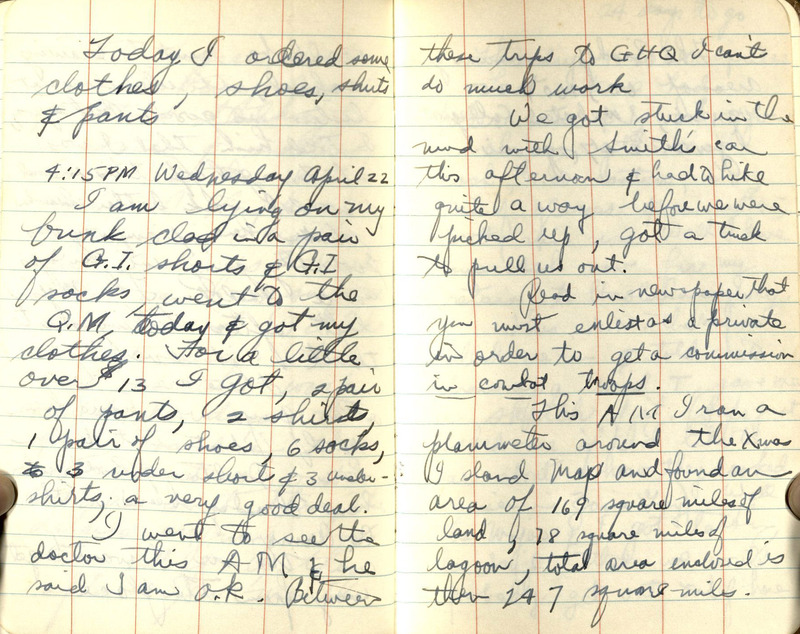 Other common topics in the diaries include the many challenges Fleming and his friends faced in finding reliable supplies of beer and cigarettes. He writes "I talked with Grubby the truck driver. He was drunk & we were waiting for some beer to arrive & it never did arrive." One night, after discovering two friends with eight cases of beer, the group "went to work on that beer, and did such a good job." 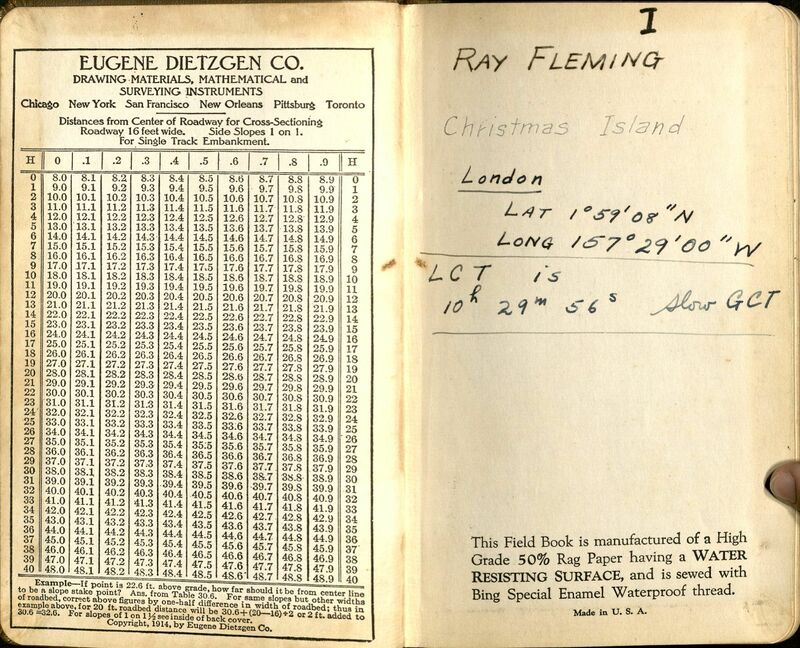 In late May 1942, seven months after arriving on Christmas Island, Fleming sailed back to Honolulu. He stopped keeping his diary at that time.